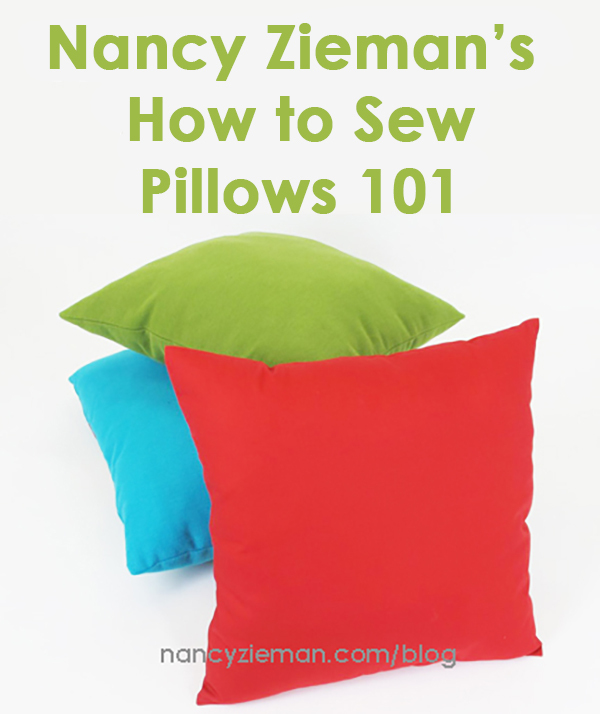 Sew the Absolute Easiest Pillows Ever! As the calendar turns to August, it’s time to start thinking back to school. Show your support by making a pillow for a special student in your life. Pillows are a go-to project for any skill level, they’re quickly sewn in most any size, and they can be made in multiple styles! Pillows, collars, and cuffs are just a few of the areas where corners need to be sewn. Cast aside the traditional technique and incorporate Nancy Zieman’s “absolute easiest way” to handle sewing corners. Learn to make crisp pillow corners using this tutorial. Give your living space a breath of fresh air by sewing new pillows. These boxed-cornered pillows are almost effortless to make. Learn how to add a nice boxy edge to each of the four corners. 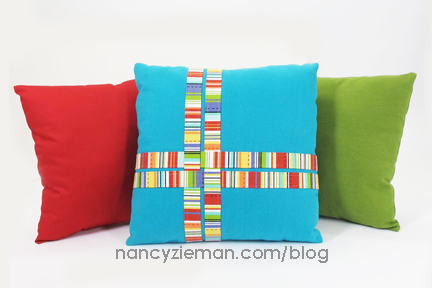 Learn how to make the boxed-corner pillows here. You can, of course, make any pillow design you wish. We thought this easy pattern might spark your creative juices. The Lattice Pillow features four machine appliquéd strips of fabric interlaced on a solid square. The pillow back is created in an envelope style and uses a hook-and-loop closure. You can easily change your home décor with a little fabric and a great embroidery design with this pillow wrap project. 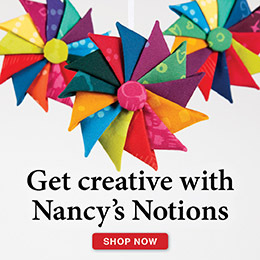 Embroider a seasonal motif on fabric or choose an elegant fabric design to complement your décor. 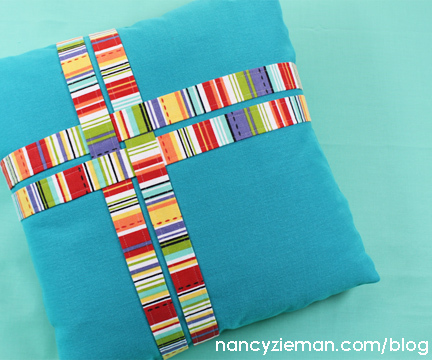 Then, follow these simple directions to create a pillow wrap, or two! We’ve made this pillow wrap two-sided, which will save time, fabric, and add a splash to the family room all year ’round. Find the embroidered pillow wrap tutorial here. 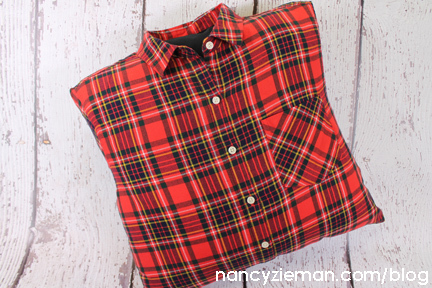 Lumberjack Pillow—from a flannel shirt: We call this recycled-garment project our Lumberjack Pillow, although you could make this from a loved ones’ shirt and sew a memory pillow as well. The technique used to fit the shirt around the pillow form allows for many shirts and pillow sizes to be created easily. 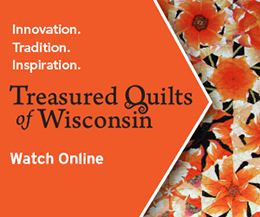 Along our quilting journey, we try new techniques and test interesting ideas. Sometimes these valuable lessons and attempts yield “orphan blocks” or leftover quilt blocks that don’t belong to a larger quilt. 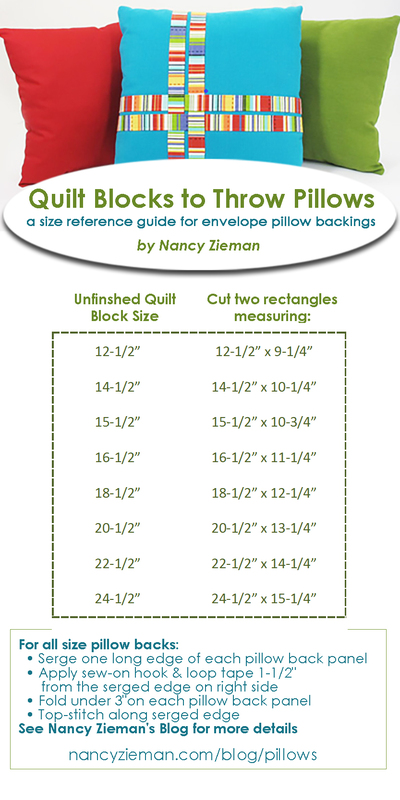 Take one or more of these treasured quilt blocks and sew them into throw pillows. It’s an easy idea that doesn’t require any additional quilting! 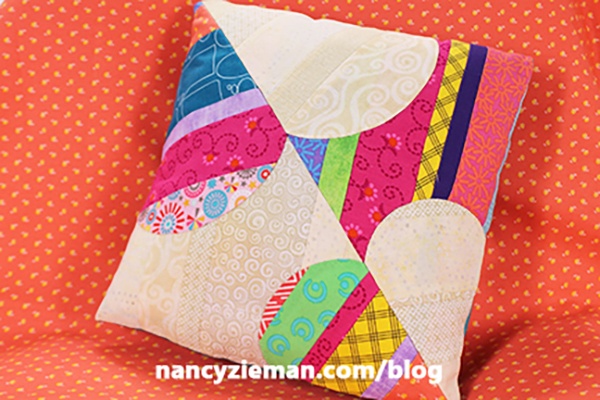 See how easy it is to convert your quilt blocks to pillows using this tutorial. 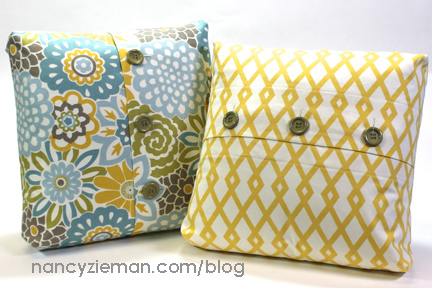 Making pillows from double-sided prequilted fabrics is easier than you think! Nancy was smitten with the quilted eyeglass frames and polka dot duo from Riley Blake, knowing that a trio of pillows were destined for this playful fabric. 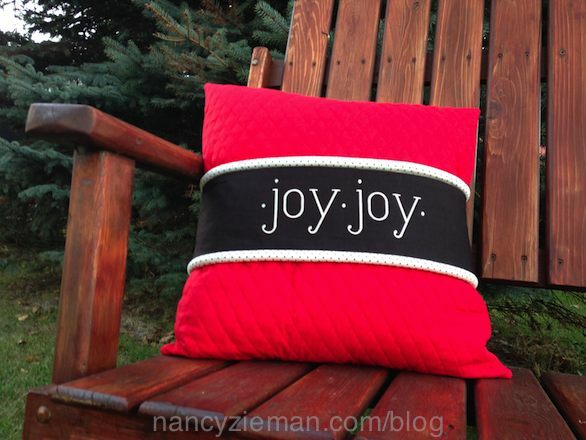 Learn how to work with this fabric type in the Pillow Trio Tutorial. 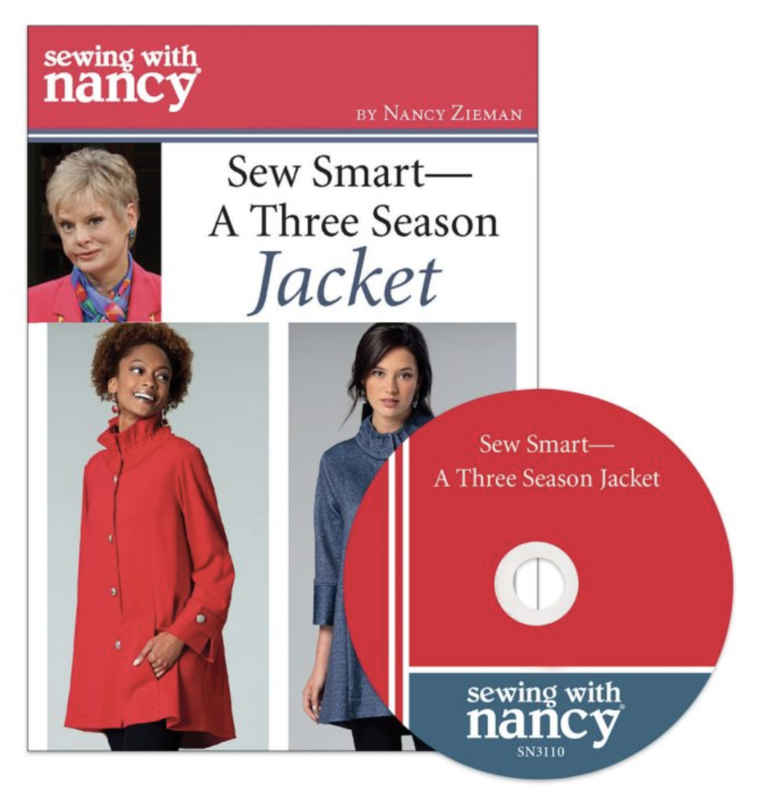 The randomly selected winner of Sew Smart-A Three Season Jacket DVD, from Nancy’s Notions, is Nina. Her comment is: Not only are your designs interesting and easy to wear, but your pattern directions are excellent. I recommend your patterns to others. my favorite thing to do is to make pillows..
Love sewing pillows as they add style, color and design instantly to a room. Really like the boxed pillow corners design as it provides a very tailored and sharp look. I always love to change my decorative pillows in the fall. Each year new designs of fabric arrive and adds a fresh look to my couch and chairs for the upcoming season. I need to make some more pillows for my granddaughter’s college bed. Perfect timing! I need to make some pillows as gifts. It’s been awhile since we’ve had new pillows. These all look great and fun to make. I like the boxed corners look. Love the different sized charts to make it faster to get quilting! would l0ve to make any of these pillows especially to envelope wrap which machine embroidered which I can do.